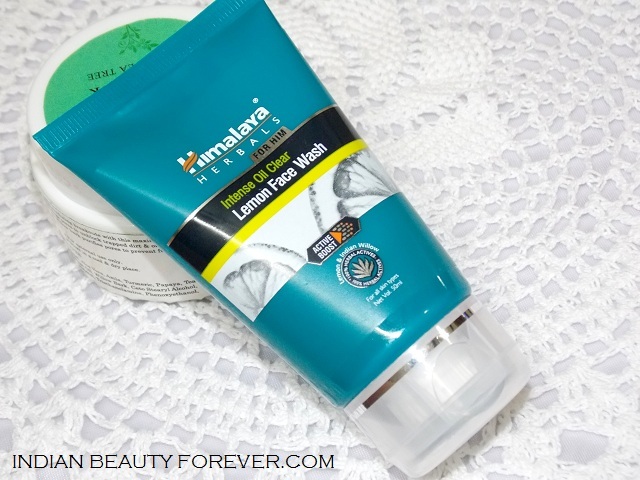 With this face wash Himalaya which is a well known skin care brand that sells quite effective products at affordable prices, forayed into men’s skin care with this oil clear face wash. It is priced at 70 bucks for the smallest pack of 50 ml. 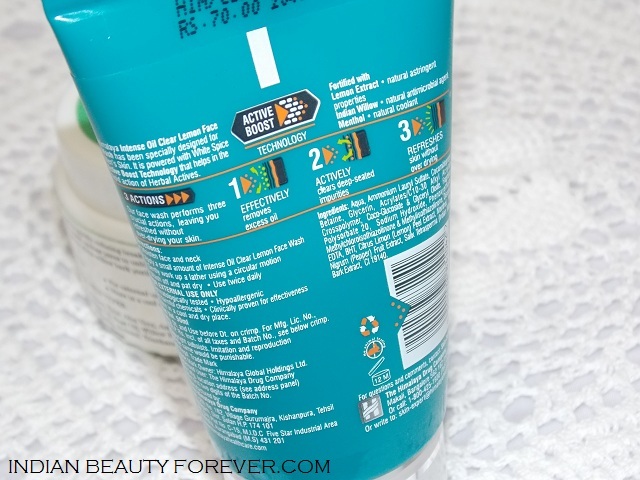 Views: The face wash comes in a green bluish tube that looks good with a tight flip top cap that requires slight efforts to open it. That way too it’s good for Men. Himalaya Intense Oil clear lemon face wash has this aftershave resembling fragrance mixed with some citrusy notes due to presence of lemon extracts. It smells very refreshing, trust me. Just for its mood lifting smell, I actually sneakily used it to wash my hands without his knowledge, it was then I realized that it is very mild, has a gel formula which will not form creamy lathers but very subtle lathers that gently cleans the skin and takes off the dirt and grime. Once done with that it will not leave the skin dry or slimy.So, thumbs up for that! And that was exactly what he told me after he had used the product. 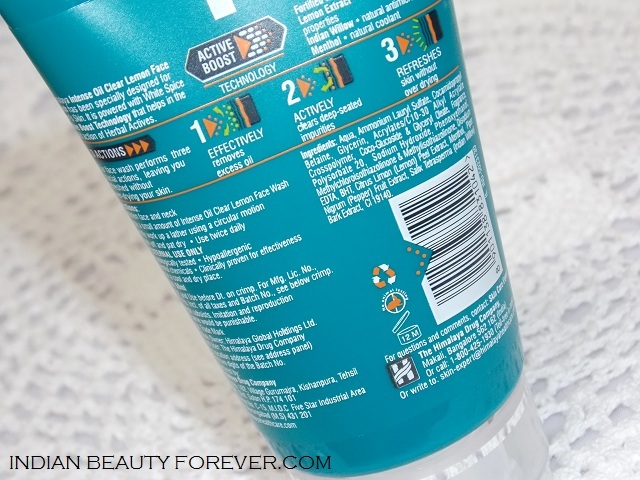 The tube is already more than half empty as It took me really long to post this review which can be good in a way that I could notice the long term effects like breakouts etc which weren’t there. by the way he has oily skin too just like me therefore, breakouts due to a skin care product is something that we tend to be mostly concerned about. Himalaya lemon face wash has lemon which acts as an astringent and has skin refreshing property along with the menthol in it which has a cooling effect on the skin. Apart from these it also has Indian willow with antimicrobial properties, all of these make this a good face wash for oily to normal skin for men, I can count sensitive as well as I found it very mild. It is basically formulated for oily skin but as it doesn’t dry out the skin, I have this feeling that dry skinned people too can try it and see if it works. Take: Himalaya Intense Oil clear lemon face wash is mild gentle and cleans the skin effectively without making it dry. At the price it can be a good to try once face wash for Men who have oily to normal skin. Love the new packaging Himalaya has come up with..